When it comes down to it, the best way to learn is the one – on – one approach. Regardless of age, the benefits of personal training are many. For seniors who want to improve their balance for fall prevention and maintain independence the private sessions work directly at their needs, whereas in a group class, they may not get the piece they need as groups are more generalized. I was very lucky with my training. When I was with my Sensei Tom I spent most of my time in private sessions getting direct feedback instruction. It was great. We would do lot of walking while holding balance to work on timing and consistency. You see, Sensei Tom was not only my teacher, he was also a guide. This is the same approach that I use with my students on private sessions. It is the best way to learn, through immersion and direct attention to the details not only of the movements, but of how you move and interact with them, physically, emotionally and mentally.. I too am a guide for the path I have taken in learning about movement, and how to incorporate tai chi and qigong into daily living. If this type of approach sound good to you I would enjoy hearing from you. Due to the nature of the beast so to speak, fixed pricing in difficult to quote. My fee is $75/hr however there is also travel time depending on location. I am based in Warren County in NW NJ. To discuss private training in ChiforLiving, ChiforCaring or Tai Chi and Qigong, please contact me. I look forward to discussing how we can work together to reach your goals. 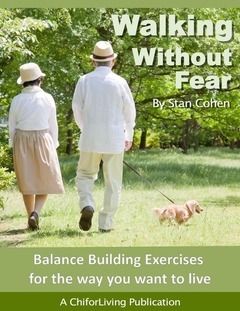 If you have taken classes with Stan Cohen and found that there are parts of the forms or exercises you’d like to practice or focus on – then a private class could be very beneficial. It’s personalized learning – an opportunity to focus on any gaps in your progress. With many years of teaching experience, Stan adapts and moves easily between a large class and a private class. He clearly has a talent for making any concept , whether it’s simple or complex, accessible to any student of any age or ability level. His answers to my questions were well thought out, and his suggestions for improvement were challenging and encouraging. If you value good health and good teaching, it’s definitely worthwhile to consider some private classes with Stan. First I want to thank you for your patience and the time that you spend with my Mom. I think a lack of confidence has dogged her her whole life. I am just so grateful that she is positive and participating in something that will make a big difference in her life. She is a worrier (as you might have gathered) and she is affected by aging in so many ways (as she says) and I told her that she should work on the things that she can change and not worry so much about the things that she can not change. And balance is definitely something she can work on and change. I love that you give her homework and at first I think she procrastinated on doing it but now that she needs to be accountable to someone (you) she does her homework. I will ask her how she feels she is doing…but when I asked her how it was going a couple weeks into your sessions she said “good, I like doing the exercise”. And she always did like going to your classes but she did not practice at home in between your classes at the hospital, and for her, and for all of us…practice is key. So I think she can see that now. It’s a bit late but I want to thank Stan Cohen for a fabulous private lesson with my family this past weekend. My parents and mother in law will all now be looking into Tai chi and Qigong in CT thanks to you! I felt amazing for the entire day and had more energy than usual. Thanks again!! !